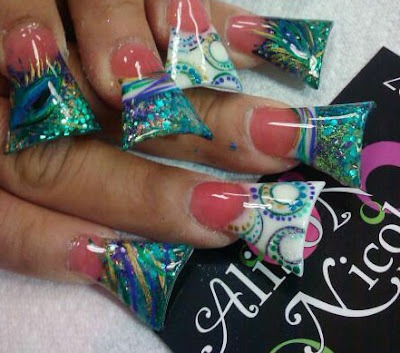 There is a new trend in nails that is making heads turn in the beauty industry. The duck feet nails is exactly what it sounds like, filing nails to look like a duck's feet. This is one trend that I am not feeling. I think it looks ugly and I think should be left to the birds. It also looks very inconvenient and looks hard to do anything with them on. This is one I gotta pass up. The overall trend in nails is moving towards to wider and longer nails, so it's no surprise that this would be hottest thing to brace the world of nails. What do you think? Would you be leaving or loving this? Let me know.